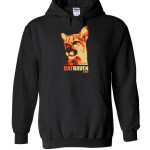 Be the coolest cat in town - order yours today! This will be the only way to get a Sam shirt; one-time release, limited edition! 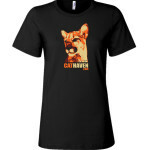 Orders will ship within 10 business days of this fundraiser ending on 09/29. Project Survival's Cat Haven just celebrated our 20th Anniversary. 20 years of education and conservation and it all started with a very special Mountain Lion named Sam who made a visit to our founders classroom when he was in 7th grade. That short visit made a lasting impression and put our founder, Dale Anderson, on a path which would lead him to build Project Survival's Cat Haven. Alot has changed over the last 20 years, but our dedication to cats and conservation has remained the focus of everything we do. 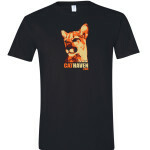 In honor of the cat that started it all, we have introduced a shirt featuring our first Cat Haven Mountain Lion, Yosemite Sam (a nod to the original Sam). Last fall we did a one-time release to honor our very special Tiger, Kong. 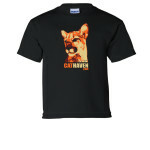 We had alot of interest in the shirt and sold out very quickly. Over the last year, we keep getting requests to get it reprinted, we won't. These very special shirts are a one-time, limited edition release. 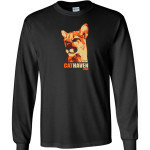 This year we have chosen to feature Sam, our amazing Mountain Lion. 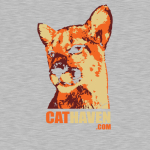 I am so thankful there is a sanctuary like Cathaven for big cats who need a quality home and can provide a forum for people to appreciate and respect these majestic animals. Love these people and their kitties!